Amidst allegations of plagiarism launched by Nike. Despite being sued by Nike, PUMA recently released an aggressive “Red Dahlia” colorway for its controversial Jamming Cushion silhouette. Amidst allegations of plagiarism, the German sportswear brand bathed its new footwear model in red for a bold new look. Accompanied by black speckles the EVOknit upper features heel and tongue tabs, tonal laces and embroidered branding. While the unique black and white bead-assisted sole unit serves to round up the design of the colorway. 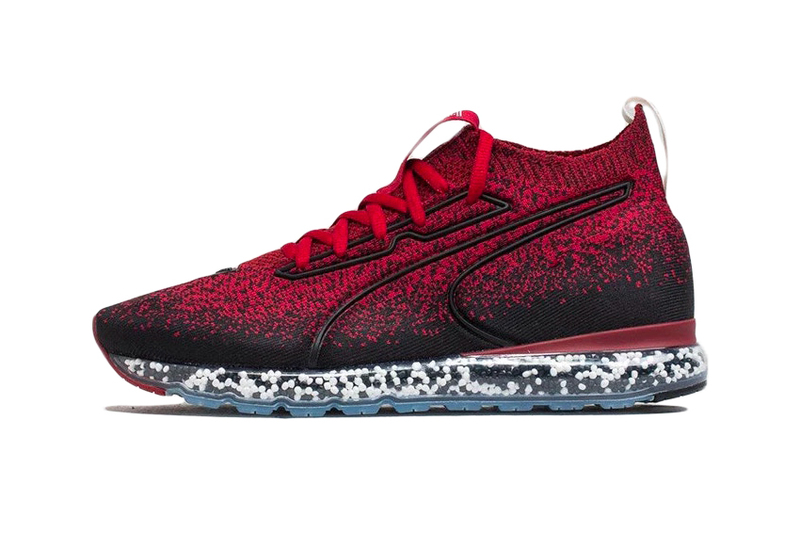 Priced at €169 EUR (approximately $195 USD), the “Red Dahlia” PUMA Jamming Cushion is available now at retailers like Footshop. In case you missed it, PUMA’s hit Thunder Spectra is set to receive a restock at the end of the month. Flacko reveals his ‘Testing’ album is now complete.